The SONOS CONNECT lets you play all the music you want, all over your house, on all the audio equipment you already own - your home theater receiver, stereo system, powered speakers, and more. Just connect the CONNECT to any amplified audio device in any room and it's instantly part of the wireless SONOS system. The Connects digital and analog outputs deliver superior sound to every room. And with the CONNECT's superior wireless range, no room is out of reach. The CONNECT is super small, so it will fit just about anywhere. 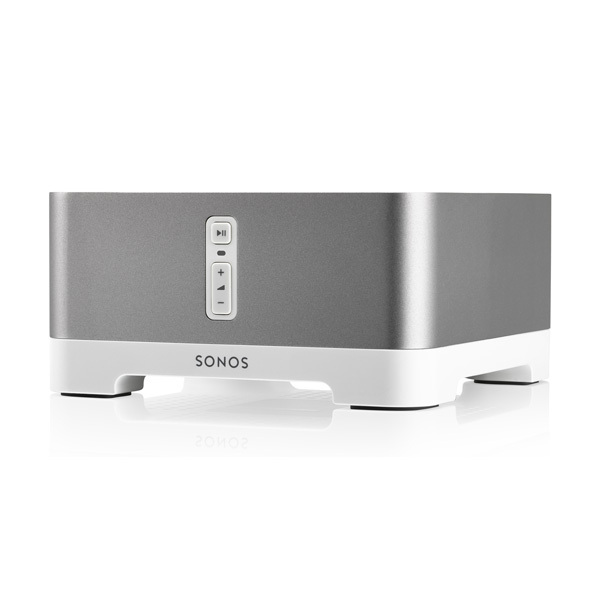 Plus, every CONNECT includes a SONOS Desktop Controller for the ultimate in control and convenience.